He gives a little bit of a background on skeptics and gives some examples of pseudoscience that are quite funny! People believe weird things. Regardless of technological advancements, scientific evidence, and logical arguments to show the falsity of weird claims, a whole manner of people are followers of weird beliefs such as Holocaust deniers, creation-science, UFO sightings, alien abductions, psychic abilities, near-death experiences, mass hysteria cases (i.e. 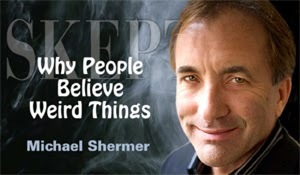 witch hunts and the “anesthetic prowler” case), racism, and immortality, as discussed by Michael Shermer in Why People Believe Weird Things: Pseudoscience, Superstition, and Other Confusions of Our Time. Shermer also answers this question, why do people believe weird things?, in Part 5 of his book. In the last chapter, he answers the question of why smart people believe weird things. The next question becomes how to determine whether a person is smart or not. There are different ways of evaluating whether or not a person is “smart”. Shermer discusses three different tests done as a way of determining this and also refers to many people he as met who hold doctorate degrees in different fields who believe weird things as well. Part I of the book introduces the reader to skeptics and their thought process, as well as how scientists think. He also clarifies the difference between science and pseudoscience. This chapter is extremely important, especially if I hadn’t already read the class textbook, which goes over this important difference too. In the end of this part of the book, Shermer goes on to discuss how thinking goes wrong to lead people to believe weird things. Parts 2, 3, and 4 go on to discuss specific examples of pseudoscience, as listed previously. In Chapter 7, Epidemics of Accusations: Medieval and Modern Witch Crazes, cases of mass hysteria are discussed and debunked by Shermer, which is my favorite part of the book. In the textbook, Chapter 10.1 discusses numerous cases of mass hysteria and delusions and differentiates between the two; mass hysteria is considered when people report symptoms of being ill. One case is mentioned in both the textbook and Why People Believe Weird Things. The case was of the anesthetic prowler of Mattoon, Illinois, in August-September 1944. The initial victim reported that late at night, someone came into her bedroom spraying her with some kind of gas that paralyzed her legs temporarily. The gas was apparently sweet smelling and caused the victims to experience dizziness and nausea as well. After reporting this story, it was covered by the local newspaper, and over the next two weeks, twenty-five cases were reported to the police. After a few weeks with no suspect and no other evidence of people actually being gassed besides their claims and symptoms, this became considered a mass hysteria event. Shermer goes on to explain how this example is similar to a medieval witch craze and lists eight characteristics of how the craze develops and what it usually involves. What I find really interesting about this chapter is the concept of the feedback loop that Sherman explains, which is not mentioned in our textbook. 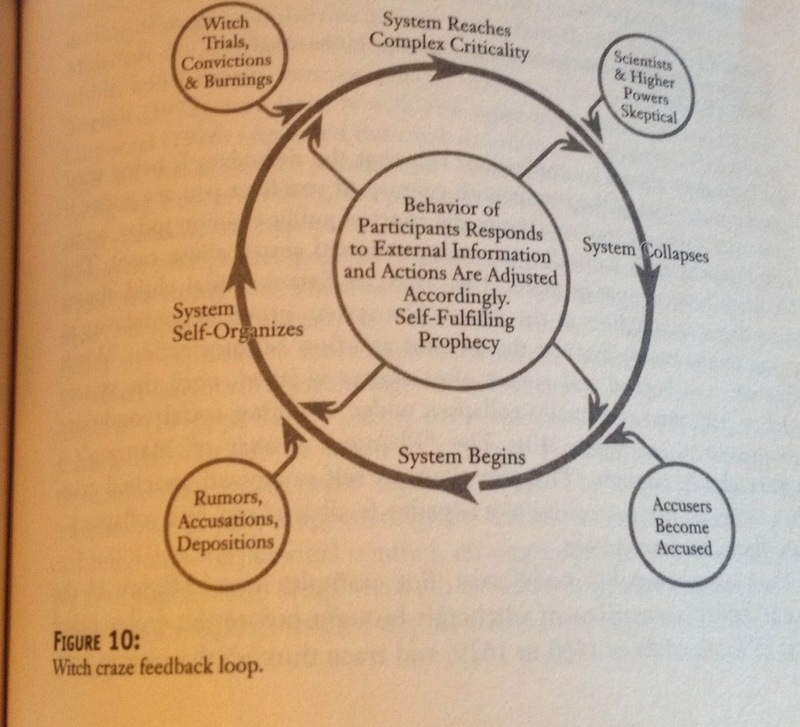 In order to explain the feedback loop, Shermer uses a witch craze as an example. There are two types of components involved in a feedback loop, internal and external components, that cause situations like witch crazes when the two types occur together. Shermer states, “[i[nternal components include the social control of one group of people by another, more powerful group, a prevalent feeling of loss of personal control and responsibility, and the need to place blame for misfortune elsewhere; external conditions include socioeconomic stresses, cultural and political crises, and religious strife, and moral upheavals” (101). A combination of several of these factors can cause, “…the system to self-organize, grow, reach a peak, and then collapse,” according to Shermer (102). It is also noted that the feedback loop can be either positive or negative. A positive feedback loop starts off the craze; victims start rumors about whatever event is occurring, more people spread the rumors, accusations are made, and people quickly self-organize to start putting the accused on trial. People start being convicted and punished, and more and more people are accused as accomplices; an even more complex system forms until a point is reached where the tables turn. People of power start becoming skeptical of the initial accusations, which causes people to start accusing the initial victims, creating the negative feedback loop, and the system collapses ending whatever mass hysteria case was happening. I think this concept is very interesting, and it amazes me how the system is created on its own and evolves and changes until it finally collapses on its own. Shermer gives data to show this model actually exists. 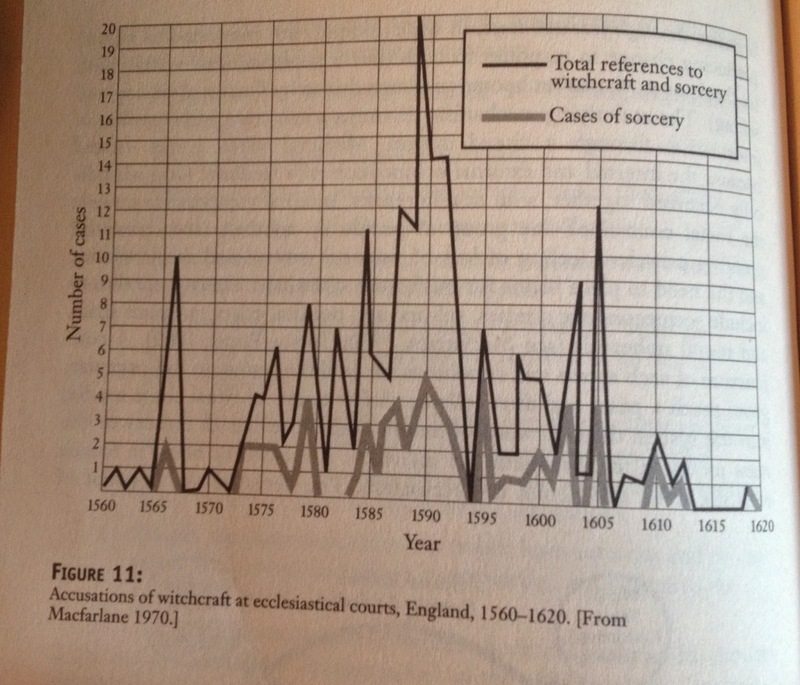 The example data he presents in his book is the witchcraft accusations from 1560-1620 brought to English courts. You can see how the accusations start out with lower numbers, grow, reach a peak in the middle, and then start to decline when the criticality point is reached, and the system begins to collapse on itself. If we have data that shows this model is true, then we can use the knowledge of how these systems form and develop to better understand and handle modern incidents of mass hysteria. Maybe we can figure out a way to speed up the cycle or eliminate parts of the cycle to avoid people being convicted of something that is only a result of mass hysteria.